Outlander Chat Tonight! 9PM Eastern! Spoiler Alert: The following pertains to information mentioned in "An Echo in the Bone." 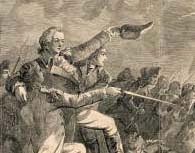 "One of Howe's commanders, Major General Lord Charles Grey--a distant cousin of Grey's--attacked the Americans at Paoli at night, with orders to his troops to remove the flints from their muskets. This prevented discovery from the accidental discharge of a weapon, but also obliged the men to use bayonets. A number of Americans wire bayoneted in their beds, their tents burned, a hundred or so made captive--and Howe marched into the city of Philadelphia, triumphant, on September 21." ~Diana Gabaldon, "An Echo In The Bone"
Today marks the 236th anniversary of the Paoli Massacre at the Paoli Battlefield which was mentioned in An Echo in the Bone. "Just after midnight on September 21, the British led by Lord Grey launched a devastating strike into Wayne's unprepared American camp. Grey had ordered his men to remove the flints from their rifles before the attack began. Bayonets, — a weapon Americans considered barbaric — would be the weapon of choice. Every year I commemorate the occasion with a special blog post, as Tracey (my Outlander mentor) and I grew up in Paoli, Pennsylvania. Reading about a battle so close to where you grew up - in the Outlander series - is truly a magical experience. When I googled "Battle of Paoli" + "Diana Gabaldon" a few minutes ago, many links came up from the MOBY daily lines. I, being the spoiler freak I am, did NOT look - nor will I - until Written in My Own Heart's Blood comes out in March (Lorddddddddd the release date.) But how excited am I to think Paoli may be mentioned AGAIN??? Chills, y'all. Chills. And...if Herself mentions the burning down of the Union Salt Works by British loyalists in April 1778 in the upcoming Written in My Own Heart's Blood, which happened in the little Jersey Shore town I live in currently, I'll fall right the hell over and they'll have to run and fetch the smelling salts. All kidding aside, please take a moment today and remember those who were killed or viciously wounded by British soldiers at Paoli...and also the United States Army battle cry that was used well into the 19th century. "Rest well, Paoli's heroes brave. You did your part this land to save. Is Ping An in Cuba?! 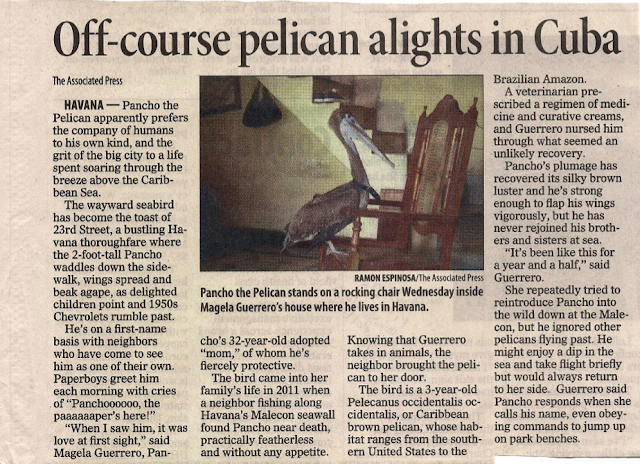 "I found this in our local paper and I think this is not Pancho but actually Ping An. Maybe he flew through the stones and is looking for Mr. Willoughby. If you look closely, he is even wearing some kind of collar. No need to look farther for Ping An's casting for season 3, Voyager!" For more on Ping An in Voyager, visit Outlandish Observations' Friday Fun Facts from 5/25/12. MOP VIDEO: Carol and Tracey Discuss Caitriona Balfe! Lorddddddddd We Have Our Claire! darned thing about her. I know she's Irish. So that always scores points, as I'm half Irish. And she's got the Claire "look". I canna WAIT to see her - and Sam - all kinds of done up in Hair and Makeup on set. It's going to be wild. BRING ON LEGHAIR and GEILLIS!!!! I seriously enjoyed this article from the Scotland Herald about the upcoming production of Outlander being filmed in the old, deserted "Isola" plant in Cumbernauld, Scotland. It describes Claire as a "20th-centry nurse who goes back to the 18th century" and Jamie as a "Scottish swashbuckling Jacobite." Wowwers. Seriously puts it into perspective, does it not? For years, I've dreamed of watching the Outlander series on the big screen. Or a little screen. Any screen would do. And now that I'm seeing that dream become a reality, I'm...well...scared as hell! LOL Dinna get me wrong, I've been so excited about this since I first heard Ron Moore would be the mastermind behind the screenplay. And I've pretty much eaten, slept and breathed "Claire Watch" since we found out Sam Heughan would be playing Jamie. I even took my phone to Tracey's tonight (and she said "Hello? It's Sunday! They won't announce anything tonight!") But I couldna help it. I am way too emotionally invested at this point. There's no turning back now. And it's deliciously terrifying! I suppose I'm somewhat of a seasoned Outlander fan, having written a blog about the series for almost 4 years. (Although I am not worthy of those who have been fans for 20 plus years!) In addition, I've waxed on with my sister (and Outlander mentor), Tracey, via video...I've posted daily on MOP Facebook for months...and I've been lucky enough to meet some of you amazing fellow-readers - all in the name of Jamie Fraser. So I still find it so incredibly interesting when I think of Jamie and Claire, and something totally new about one of them pops into my head. Today, when I was reading this Herald article, I found myself wondering what Jamie would think of all this brouhaha surrounding the Outlander series on Starz...and being called a "swashbuckling Jacobite". I pretty much came to the conclusion he would Mmmmfffpppphhhhh the hell out of it...and say there was much more important work to be done. But clearly there is nothing more important at this point, as far as adaptations go! I canna WAIT to see the reactions of not only my fellow OutFANders, but also the rest of the world who will tune in to Starz in April. 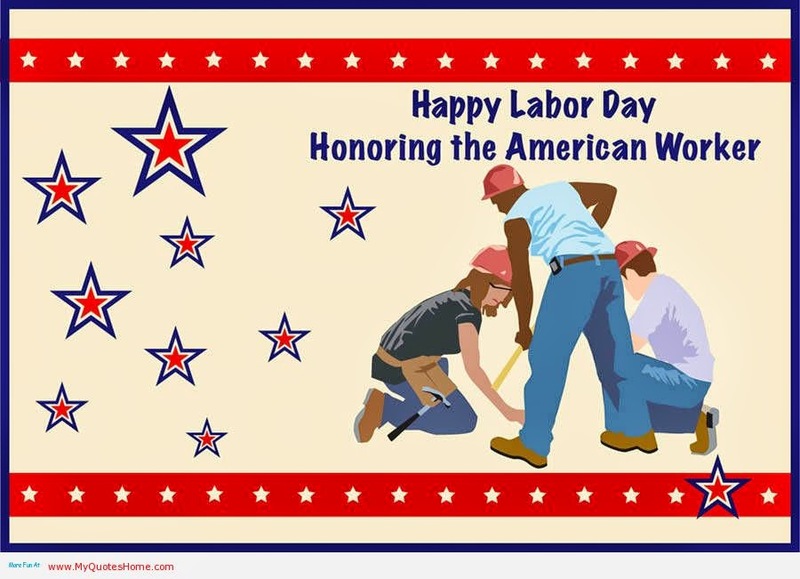 MOP Chat Canceled: Happy Labor Day! Happy Labor Day! In observance of the Labor Day holiday, MOP Chat will be canceled tonight.